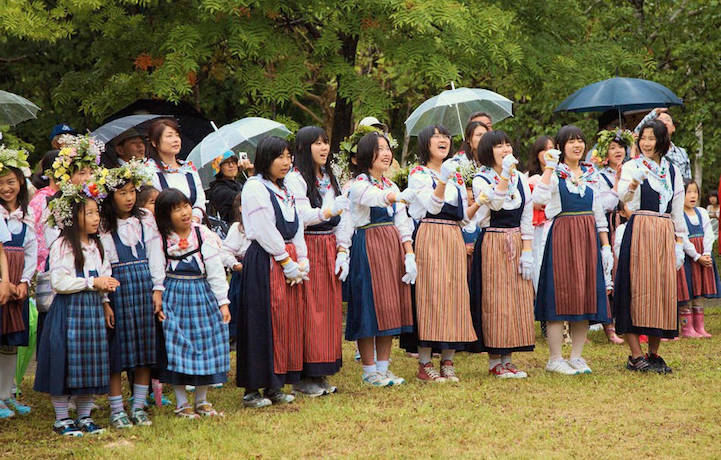 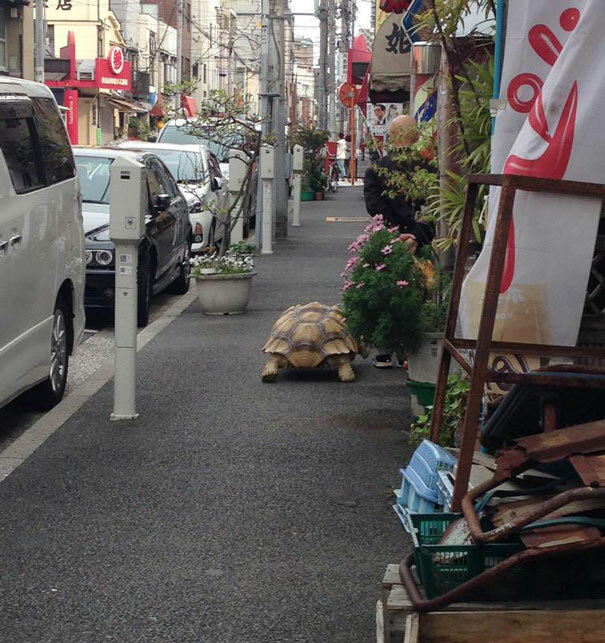 Apparently Tokyo will never stop being weird. 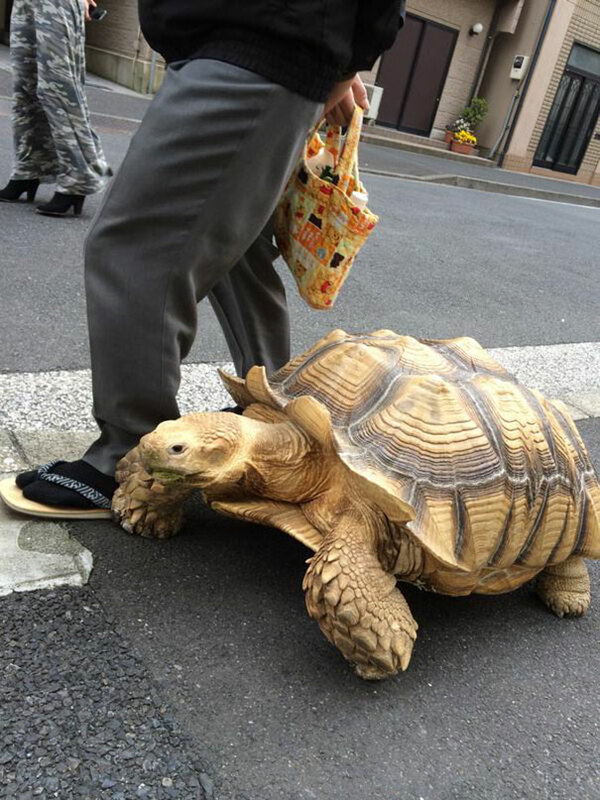 Walking you pet has a whole new meaning, as an elderly man has been seen walking his pet, which is no other than a huge African spurred tortoise (or sulcata). 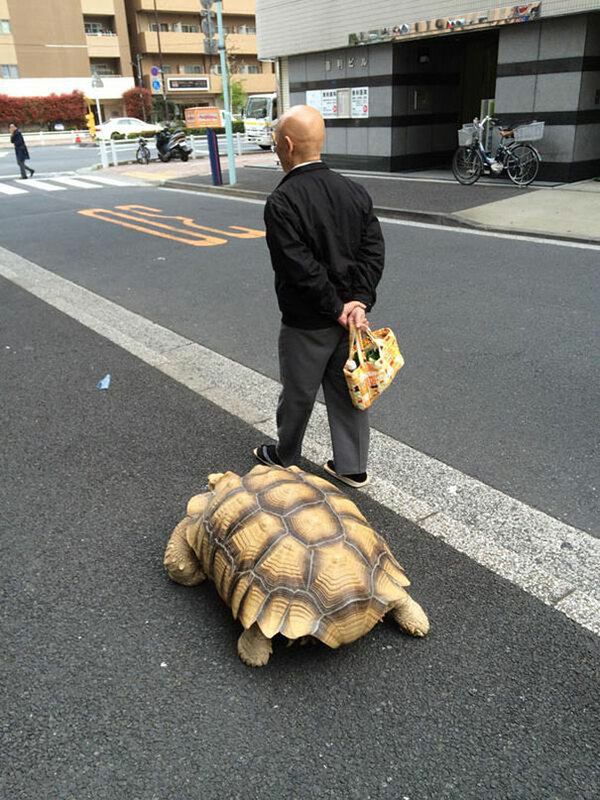 Owner and pet are taking long strolls together and they must be indeed long, since our adorable green friend is a turtle. 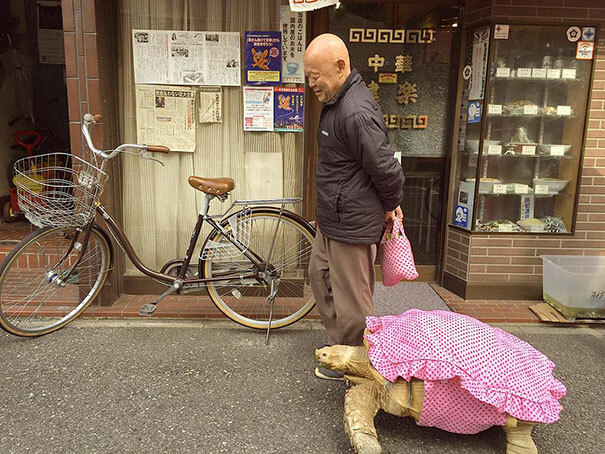 Its significant size means tells that the unique couple have been together for quit a while and their relationship must be a strong and healthy one, judging by the tortoise’s loyal companionship and its tolerance towards its ridiculous pink costume. 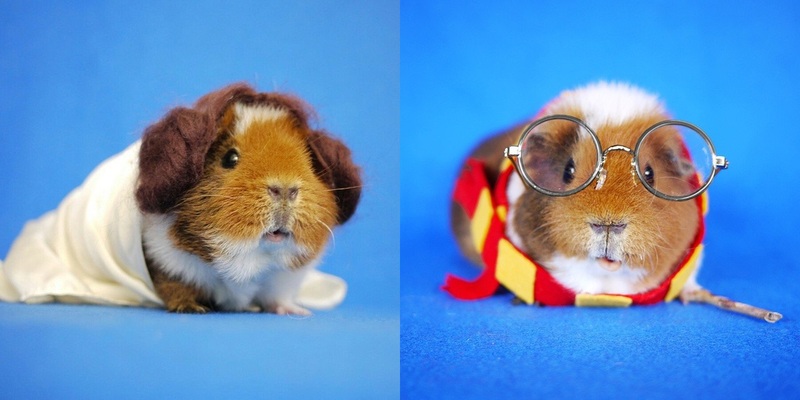 This lovely pair is definitely a sight for sore eyes!